Between 1970 and 2000, the beer lists of pubs the country over were becoming uniform, dull and flavourless. Despite CAMRA’s best efforts, so called “continental lager” was brushing aside local real ale with a potent mix of marketing and reliable keg pouring systems. The drinker was essentially left with several choices that all tasted the same – light, pale, slightly sweet and very fizzy – and bar owners, whether they were tied or not had a tricky job in finding anything different. Most bars would have a guest ale on and a rarely used Guinness tap, and that was where it ended. Thankfully British beer is back from the dead. The efforts of CAMRA and the influence of American craft brewers breathed new life into the industry. Now there are 1,700 breweries and endless beers to choose from. Who had heard of Goses, Berlinerweisses, Imperial Stouts and Barley Wines a decade ago? Now they are on the bar of every forward-thinking, exciting pub. But with this new wave of amazing beer has come a new, though infinitely more exciting problem: overwhelming choice. How do you know what products will sell, or what products will help with your pub’s image? How can you tell which beers will stand up well in the fridge and which need to be drunk as fresh as possible? Balancing a bar is finally possible, but that doesn’t mean it’s easy. 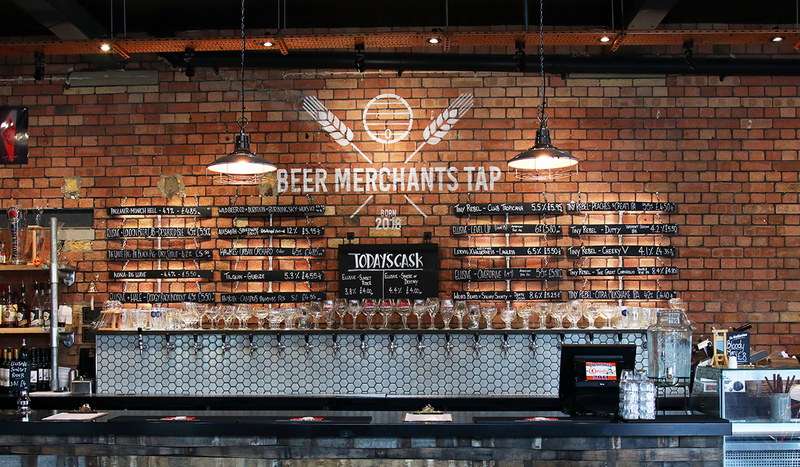 Here’s out guide to publicans to getting the best range, variation and of course sales from your beer line up. We’ve put these tips together after nearly 50 years of selling to the on trade. We know what sells, we know what works and we know why. Despite what some snobs might say, good beer can include lager, and it still represented about 70% of the beer sold in pubs. Lager can be as delicious and exciting as any other beer style, but picking a good one is tricky. There is a lot of marketing talk, clever branding and low pricing that can trick you into ordering a sub-standard beer. Our rule is simple – at the moment you should stick to Bavarian or Czech lagers if you’re looking for a world-beating lager, or Belgian if you’re looking for a cheaper but high-quality product. There are, of course, exceptions to that rule particularly from the Scandic countries and some UK breweries, but there’s a reason we import Paulaner. It is one of the best lagers in the world and available at a great price point. If lager is the volume product of masses, IPA is the volume product of niches. It has taken the world by storm since the craft beer revolution took hold. American style IPAs are loaded with citrusy flavours like grapefruit and tropical aromas like mango and lychee. A bar without a good, fresh IPA on draught is missing out on sales every single day. We recommend English and Scandinavian IPAs, because they are exciting and well-made – and will often be freshest. We’d recommend our Lervig and Beavertown IPAs. That said, America make the best IPAs in the world, so if you know the keg is fresh it’s a great purchase too – our Red Hook Longhammer was one of the original IPAs and shipped fresh every few weeks from the East Coast. While IPAs are what excite drinkers the most, many of them want the hoppiness without the monumental hangover from a few pints of 7% beer. There are three modern styles to cover this demand – golden ales, American pale ales and session IPAs. Golden ales are all about the malt, with a lovely bready sweetness balanced by a little kick of hops. Our favourite is Kona Big Wave, which uses galaxy hops for a subtle acidity and plenty of tropical aromas. The pale ales strike a balance between the malt and the hops to create a bittersweet beer with lots of citrusy tones, like in Lervig’s awesome Lucky Jack. Session IPAs are all about the hops though, reducing the malts to just a biscuit background and ramping up the fruit tones and bitter finish. Again we’d recommend British session IPAs to guarantee freshness. It’s also worth noting that American pale ales have more general appeal, but you can never discount the needs of hopheads! Traditional British cask ale has gone from nearly dying out in the 70s to being around 30% of the beer sold in the UK. So it’s obvious that a pub without cask ale isn’t appealing to nearly one in three potential customers. Not only that, there are some fantastic beers being made by both modern and traditional brewers that are simply better on cask. It’s vital to make sure you know how to look after them and turn over the beers though – if your cask beer isn’t tasting right it will damage your pub’s reputation. 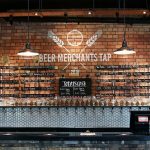 Keeping your beer list fresh is vital to ensuring return customers – research shows that in recent years brand loyalty in pub-goers has decreased and those who are discerning about beer are always looking for something new to try. Having a few lines that change every time a keg kicks will keep people coming back to see what's on and may even help keep customers in the pub longer if the beers change during their time there. We have a great, ever-evolving specials list (just speak to your rep) as do many other beer suppliers. They may not be big volume products but there is someone in every group of friends that will want one, and not providing will mean that group will have to go elsewhere. You could just get a Guinness line, or you could be more inventive and get a rotating tap of darker ales, with everything from stouts and porters to hoppy red ales or dark lagers. Having a well stocked, varied beer fridge is vital both for the reputation of your pub, your image when someone walks into it for the first time, and for offering choice to customers who are ordering several rounds. The beers in the fridge should support what is on the bar by filling in the gaps – not repeating what is already on the front of the bar. Higher ABV beers have a place here – think Belgian or American – as well as some more sort-after but low volume products that more-educated customers might be looking for or that might suit the tastes of someone not impressed by the tap line up. You should also make sure you have a mix of bottle and can. Cans can look fantastic in the fridge and are much likely to hold up to the inconsistent atmosphere of a pub fridge.